Dydd Gŵyl Dewi Hapus! (That's Welsh for Happy St. David's Day. )* It's still March 1 as I write this and I'm stuffed with griddle cakes and Welsh Rabbit,** eaten while celebrating the day with my Welsh-American mother. My mom's family hails from the small country of rolling green hills and dramatic rocky shores that have inspired countless fantastical legends over millennia. 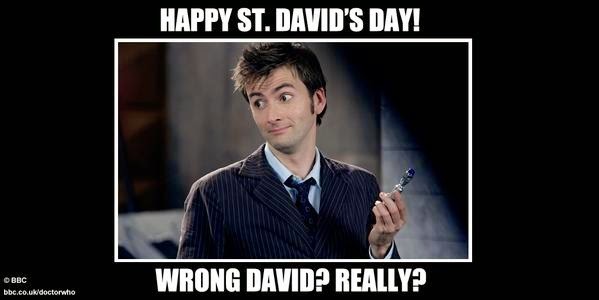 If you're a fan of Doctor Who, this probably isn't the first you've heard of the holiday recently. The show, proudly filmed in Wales, posted a number of Welsh language tweets in celebration of the holiday over the last day. It has a strong tie to the country and its spinoff, Torchwood, was even set in Wales. Remember when Gwen beats the stuffing out of the woman who calls her English on Torchwood? Yeah. For your own sake, don't confuse the two. Wales' flag is a red dragon, Y Ddraig Goch, on a field of green and white. 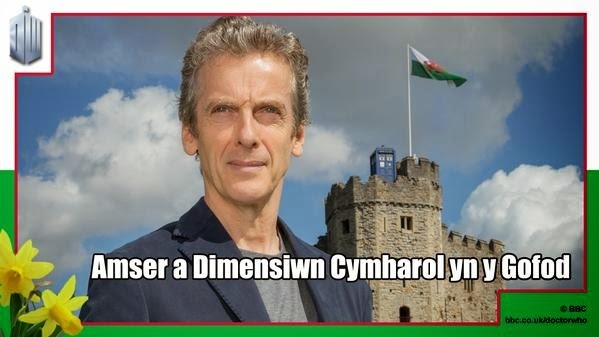 (You can spot it behind Peter Capaldi, in the photo above, flying over Cardiff Castle in Wales.) The dragon has been associated with the country and its kings since the fifth century. 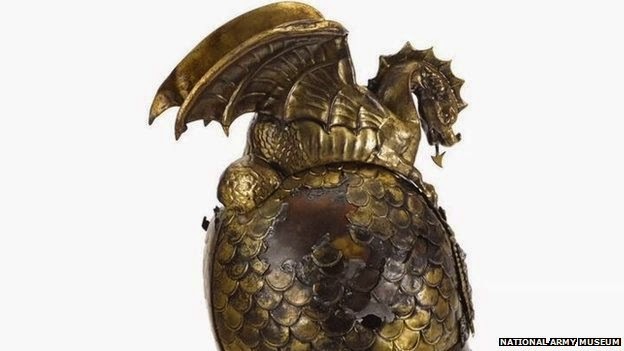 It even features prominently in the Arthurian*** legend, with the red dragon symbolizing Wales fighting a white dragon (England) in Merlin's prophecy. Wales has always fought to remain separate from England. The Welsh have embraced the dragon as a symbol of strength over the centuries. Just last week, the National Army Museum revealed this Welsh volunteer cavalry unit helmet worn from 1830 - 1840 that will be featured prominently in a new exhibit. The dragon, of course, isn't the only fantastical legend Wales has inspired. The country has always been filled with mythical creatures and fairy tales. 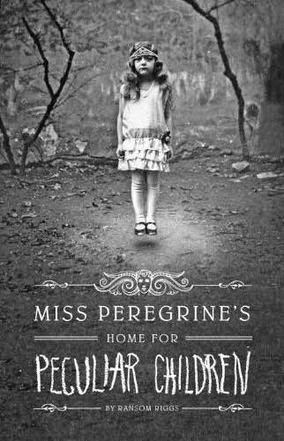 Even now, the country plays a significant role in some of the most popular recent fantasy novels including Miss Peregrine's Home for Peculiar Children, the Mercy Thompson series, and the Thursday Next books. There's something fantastic about Wales. It's a land known for its storytellers, singers and incredible legends, and I'm glad I can claim it as the home of my maternal ancestors. *Which doesn't actually contain any rabbit and may not have actually originated in Wales, but we Welsh sure love our melted cheese so we're happy to eat it. ***By the way, King Arthur, Merlin and the gang were totally Welsh.